Get Bigger, Stronger, and Leaner. Why did I name it The Unicorn? A Unicorn exemplifies the uncatchable, which is similar to the goal of this fitness plan. Get bigger, stronger, and leaner. I want you to walk away from this trainer knowing that it's ok to mix modalities. I will put you on a baseline week that will take you through a large variety of movements which you may have never done before. The Metron training system will calculate the weight you should lift in the ensuing weeks based on my recommendations and your data. This trainer will mix four very different modalities into a 3-day repeat split resting every 7th and will last nine weeks including the baseline. This will gives us the rest and recovery that will be needed to gain, all while moving just enough to reduce. There is a Nutrition Calculator that will provide personalized macro based recommendations for every day in this nine-week plan. 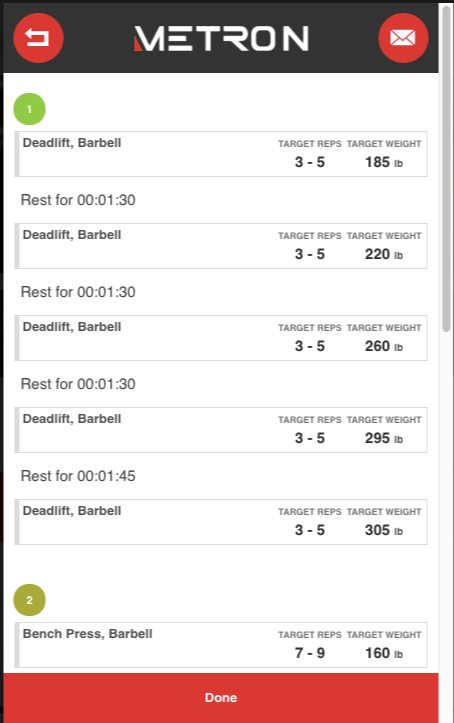 Update your body weight weekly, so we can dynamically base our next week's recommendations of real-time inputs. Most calculators will collect your info upfront and then spit out the entire plan, but that is the difference between customized and personalized.